Marmalade, the leading provider of cars and insurance for young people, has taken a significant step in its development as it launches its first-ever through the line advertising campaign and reveals a fun new brand character. The “Freedom tastes sweet” campaign will feature the brand’s first-ever, distinctive character: Mr Marmalade. The new face of Marmalade is a fun, empowering and almost magical figure, who will appeal to both young drivers and their parents. On 30 July the new campaign will launch on TV in this summer’s runaway-success show Love Island, airing during the first advert break of the live final of ITV2’s most successful ever show, positioning Marmalade as a legitimate youth brand in front of millions. The campaign will run across the summer months using an array of media platforms all targeting young people and including TV, out of home posters and high-profile social media influencers. 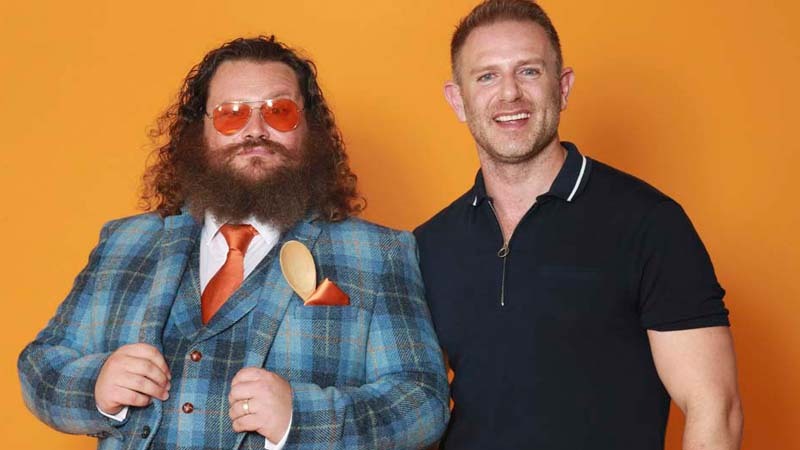 The TV advert will appear in the commercial breaks of youth TV shows including Tattoo Fixers, Celebability, and Keith Lemon’s new show Coming in America. Mr Marmalade and Adam Moger, Sales and Marketing Director for Marmalade. Learner Insurance – is tailor-made for provisional drivers, enabling them to drive a parent’s car from as little from as little as £1.69 per day, without risking the owner’s No Claims Bonus. New Driver Insurance (Your car) – Marmalade offers low insurance premiums from the outset as we trust our customers to be safe and responsible drivers. This policy is based on telematics technology – black boxes are installed into the insured car to enable young drivers to review their journeys and to ensure that the young person is not driving dangerously, so they can potentially save hundreds on their premiums. There are no curfews with the black box and it provides added security in case of an accident or vehicle theft. Named Young Driver Insurance – Designed for young drivers aged 17-27, this policy is a unique way for a young driver to get insured on a parent’s car without risking their No Claims Discount. It’s an annual policy in your name which runs alongside your parent’s car insurance that only covers the young driver when you are behind the wheel. Cars for young drivers – Marmalade is the only UK insurance company to offer free insurance from aged 17 through its Fuel & Go scheme. The scheme, which uses black box technology, enables young people to buy a new car with free insurance for the first year for a fixed monthly price. Free insurance available is in selected postcodes. Where Marmalade can’t offer free insurance, it will offer a contribution towards their deposit or insurance.